Between Obama’s inauguration and Martin Luther King’s birthday, it’s hard not to look back with appreciation at prior figures in African-American history who got us to this moment. 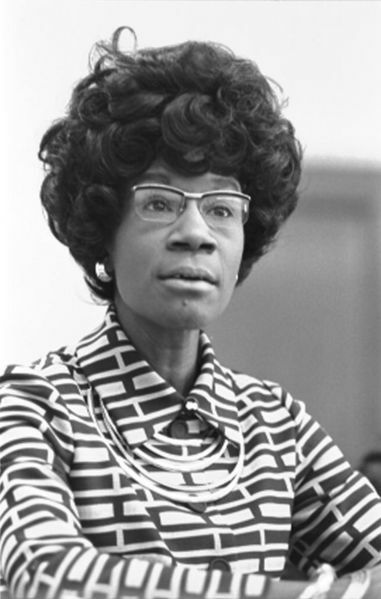 Of all of them, the one I’d like to have dinner with the most, on this eve of American history, would have to be the very first black female U.S. Representative, the belle of Bed-Stuy, and the most energetically attired Congresswoman, perhaps ever — Shirley Chisholm. 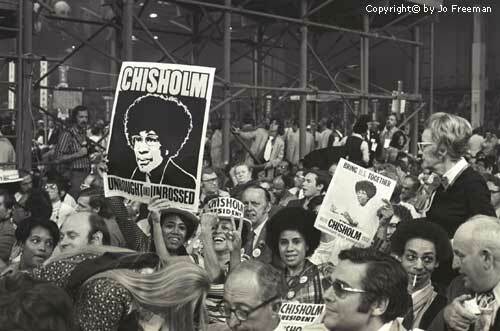 For much of her childhood, Chisholm called Bedford-Stuyvesant, Brooklyn home, a restless neighborhood that for most of the last century was considered second only to Harlem as a cultural center for the city’s black population. 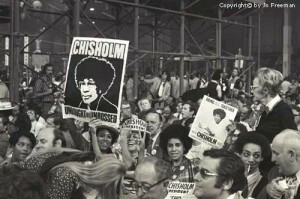 Chisholm won a seat in the New York state legislature in 1964 but always dreamed to represent Brooklyn on a national level, in the U.S House of Representatives. She finally got her wish to represent her neighborhood when redistricting lines were finally redrawn — finally allowing a black candidate to run (and win) in a largely black community — and won her seat in Congress in 1968. Interestingly, one of her opponents was state senator William C. Thompson, father of our current city comptroller. She didn’t stand a chance. Not in 1972. 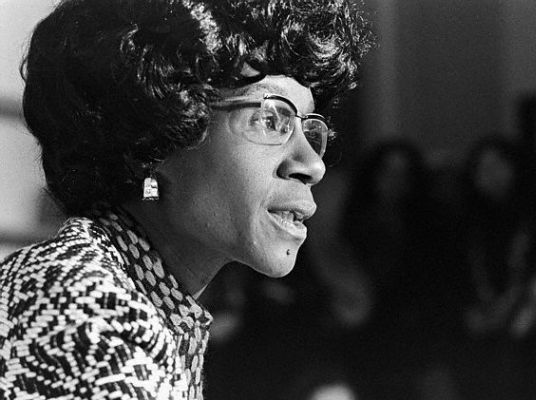 But back then, even that the gesture was taken seriously by some people — she received 152 delegate votes at the Democratic National Convention — is something to marvel at today. The days when somebody can be a symbolic ‘black candidate’ or ‘woman candidate’ on the national stage are most likely past us. It’s impossible to observe Obama and the near-success of his closest Democratic competitor Hillary Clinton and not see the path she carefully tread before them. 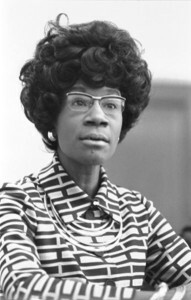 You can find a few thorough bios on Chisholm all over the internet, but you should first check out the fabulous 2005 documentary on her, named for one of her books — Unbought and Unbossed.